Entries for the United States Diversity Immigrant Visa Program are being accepted through November 22, 2017. The Diversity Immigrant Visa Program administered by the U.S. Department of State has been in the news lately with calls to end it after one of its recipients, Uzbek native Sayfullo Saipov, was accused of driving a rented truck down a crowded New York City bike path, killing eight people and injuring more than a dozen others on October 31. The program allows nationals from countries with historically low rates of immigration to the United States to apply for permanent resident status (“green cards”) without a relative or employer sponsor. Each fiscal year, 50,000 of such visas are granted. Entries for the next fiscal year (which starts on October 1 2018 and ends on September 30, 2019) are now being accepted and will close on Wednesday, November 22, 2017. 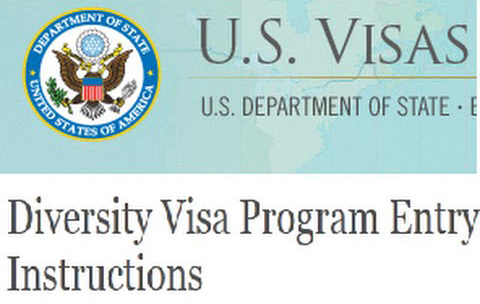 All countries in Africa, with the exception of Nigeria, are eligible for the Diversity Immigrant Visa Program. You were born in a country that is ineligible, in which neither of your parents was born or legally resided at the time of your birth, provided that one of your parents was born in a country which qualifies this year. A high school education, which is defined as completion of a 12-year course of elementary and secondary education in the United States or a formal course of study in another country comparable to a U.S. high school education. USDOS will not accept a correspondence course or general equivalency diploma (GED). Two years of work experience within the past five years in an occupation requiring at least two years of training or experience. Entries are only accepted online at dvlottery.state.gov. Entry period is between 12:00 noon, Eastern Daylight Time, Wednesday, October 18, 2017, and 12:00 noon, Eastern Standard Time, Wednesday, November 22, 2017. Entry is free and the US State Department warns individuals against paying anyone to submit your entry. Keep your confirmation number and check back at dvlottery.state.gov starting on May 15, 2018 as the State Department will not send emails or letters informing you that you have won. After you log into dvlottery.state.gov starting on May 15, 2018, you will be directed to a confirmation page that will provide further instructions, including information on associated fees to facilitate your immigration to the United States. You can then apply for a visa between October 1, 2018 and September 30, 2019. The State Department also warns individuals to guard against scams such as fraudulent websites informing them that they have won.